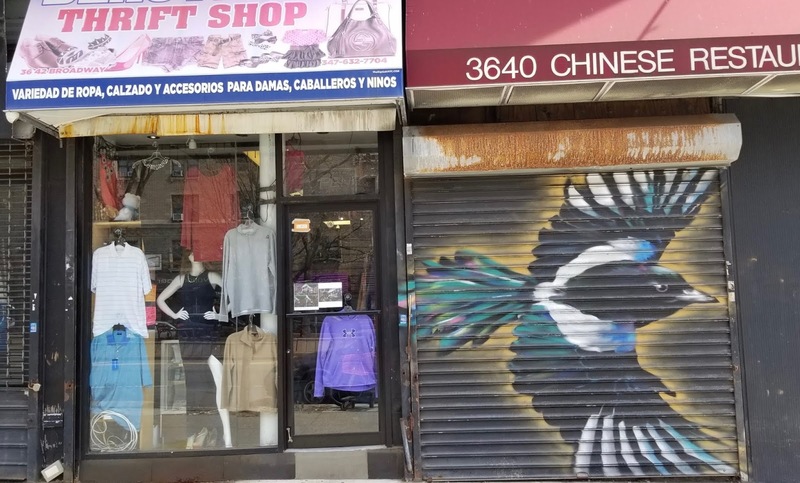 This week I took Metro-North to the Harlem/125th Street station and walked up to 146th St. and Broadway in Hamilton Heights to begin looking for murals on the sides of buildings and on business doors. 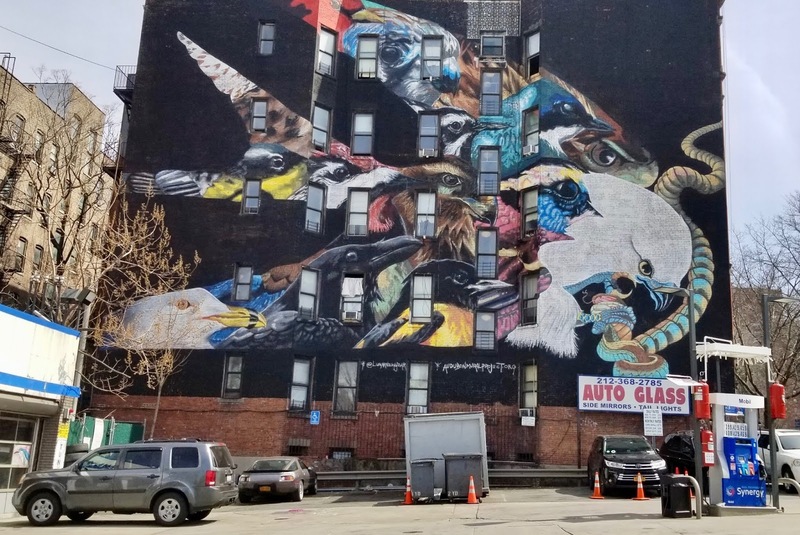 The Audubon Mural Project uses the birds from the National Audubon Society's Birds and Climate Change Report, which declares that at least half (314 species) of all North American birds are threatened by a warming climate. 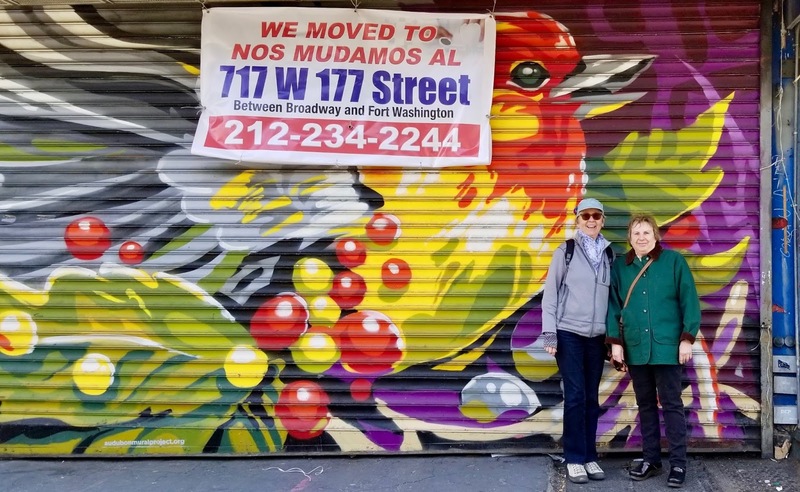 The project, a collaboration between the Audubon Society and a New York gallery, commissions artists to paint a mural of a threatened bird in the neighborhood in which John James Audubon lived towards the end of his life. 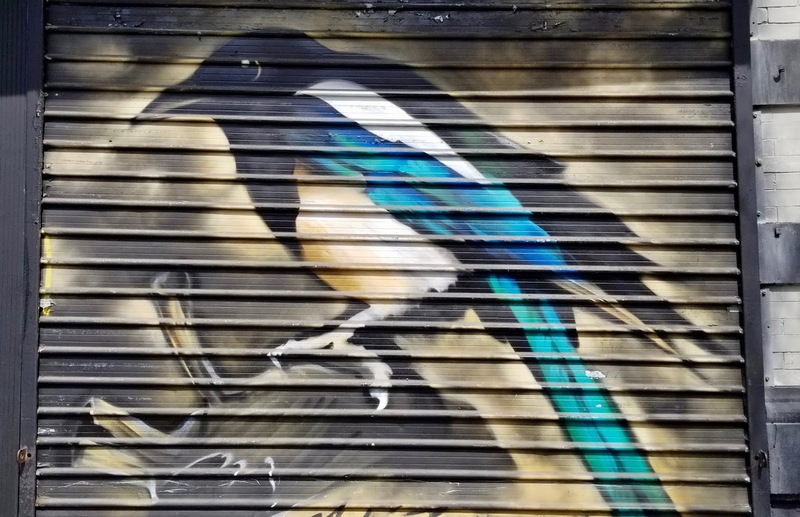 So far 110 birds have been painted. 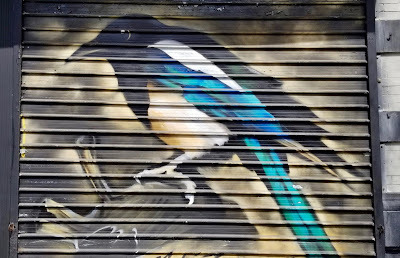 Most murals have one bird in them but some have multiple species of birds. 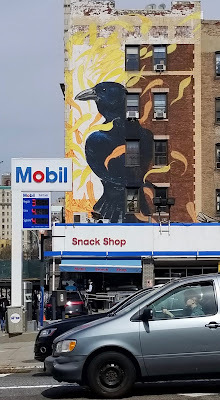 The murals vary in size from doorways height to those many stories high on the sides of buildings. 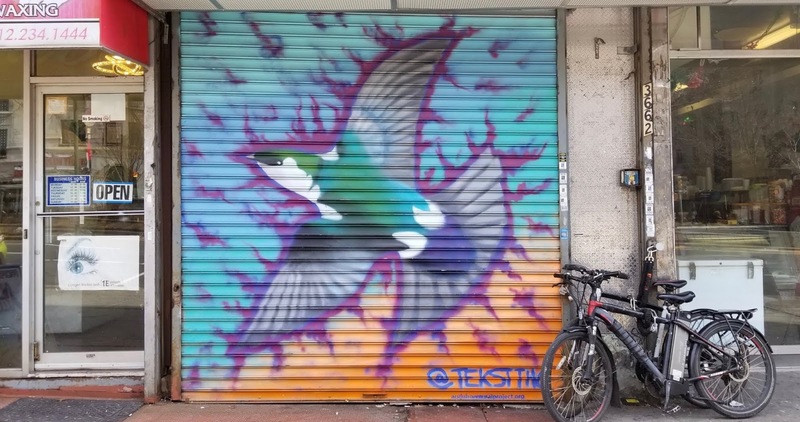 There is an online map of where the murals are located. But we just walked up Broadway and found 12, from about 146th to 158th Streets on the east side of the street. All of the ones we saw are well done, colorful and fun! It was a wonderful opportunity to see a part of New York City that I had never been to. 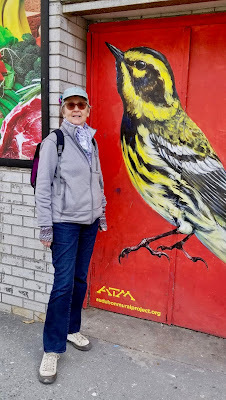 My friend Mary and I walked about 8 miles to and from the station and on Broadway looking for murals. You can actually see more at night because during the day some of the business doors are lifted and the mural is out of view. I will return in late April with my hiking group, the Berkshire Hikers. 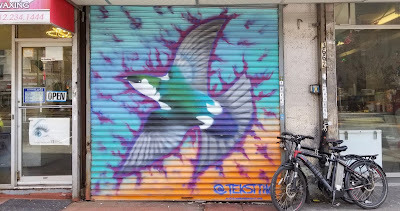 We will have a tour guide who will show us at least 30 murals. Can't wait!